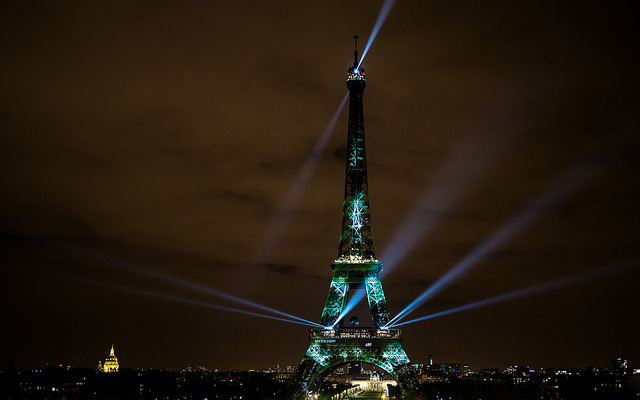 In this blog, PHE's Paul Cosford and Deputy Chief Medical Officer Gina Radford welcome the progress made at the United Nations Conference on Climate Change in Paris at the end of last year. When world leaders agreed in Paris in late December to collectively limit global temperature rise to 2C and to aim for 1.5C, it was an historic moment. It’s one that will be good for the planet … and essential for public health, with the World Health Organisation now calling this a ‘public health treaty’. In fact one of the most striking things, it could be argued, was not that an agreement was reached but that public health was so closely and publicly wedded to climate risks and sustainability throughout the whole event. This is no great surprise. After all it has long been suspected that a changing climate will bring a raft of public health challenges. In the UK a warming climate will most likely lead to a change in the type of disease vectors, notably mosquitoes, we have here as well as different types of pollen as non-native species become established and potentially extend our pollen season. It’s also suspected that a warming climate will bring more extreme weather events, such as flooding and heatwaves, more often to the UK. These impacts, and many like them, are also predicted for other parts of the world on differing scales. What they collectively tell us is that climate change will bring very real health impacts. This is precisely why the Department of Health was part of the UK delegation to attend the even. There were meetings with hundreds of health professionals from all around the world and many attended panels in which the stark health complications of unchecked climate change were discussed and the need for urgent action from Governments right down to individuals to improve global public health was debated. And from this perspective Paris was radically different from previous events. Not only were there thousands of healthcare representatives in attendance, where previous events attracted just a few hundred, but it would appear that health has now been taken on board as yet another reason for global action on climate change. Encouragingly the importance of acting in the name of health was recognised twice in the final text agreed and signed by 197 countries and no less a body than WHO has described the Paris Agreement as ‘a public health opportunity’. Here both the Department of Health and Public Health England have been extremely active on these matters. We have had a Sustainable Management Development Plan for several years and DH is in the process of developing one – to be sustainable in all its policies and practices. The Sustainable Development Unit is helping all levels of healthcare organisation to embed sustainable practice in everyday operations and researchers within PHE are routinely having major publications on this topic highlighted in prestigious international journals. What we need to do now is capitalise on the momentum we have thanks to Paris. Climate change and its looming health implications are becoming bigger factors for our future planning processes. We as healthcare professionals must act on this. As well as embedding sustainability into our working lives we must all think how we can incorporate thinking which benefits not only public health but the climate into our day jobs and interactions. NHS Sustainability Day, which is being staged tomorrow, March 24, challenges us all to stop and think about sustainability. Are our work places as sustainable as they could be? Do we consider the climate implications when we do what we do? And are we taking steps at home to do what we can to mitigate the harmful effects of climate change? It is worth us all taking some time on this important day to take stock of our personal climate impacts and where we can reduce the pressures we’re all putting on the planet and global public health. Of course this is where the critically important co-benefits agenda comes in. We can improve health and wellbeing, whilst reducing carbon emissions- whether that’s driving less and getting on a bike more, eating foods grown in season more often or simply making sure you don’t leave electrical products on standby but actually switch them off. We all know there are little things we can do – with big improvements in health and cost savings as win wins. And that’s the challenge now. We as public health professionals have to keep recognising that just because Paris saw a remarkable agreement achieved the problem is not solved. We can all make a difference and have to make a difference if we are to mitigate the health impacts that a changing climate will bring everyone on the planet. It won’t be easy and we know there’s a lot to do. The presence of so many high level health colleagues at Paris was heartening. It demonstrated that not only are those of us in public health getting our messages to policy makers but are also rightly concerned about the threats climate change will bring and are united in our efforts to bring about change. But ultimately we have to get the message out there - climate change is about people and health, not just polar bears.